Improved infrastructure is a prerequisite for long-term sustainable growth and development in Africa. Modern infrastructure will benefit individual countries and their citizens and promote regional integration and Africa's full participation in the globalised economy. Closing the infrastructure quantity and quality gap relative to the best performers in the world could increase per capita GDP growth in Africa by 2.6% a year (World Bank, 2017). 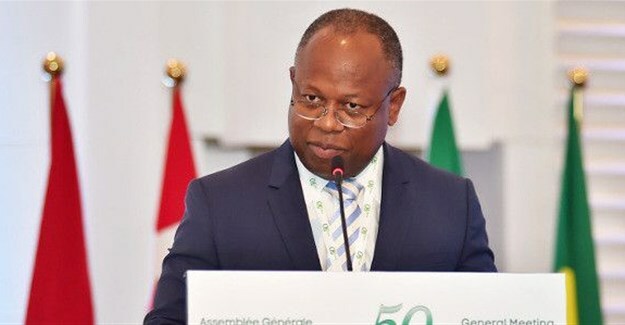 Alain Ebobissé is the CEO of Africa50. Many countries have made substantial progress, but some remain in a negative cycle. Businesses cannot grow because of poor infrastructure, so they remain informal and do not pay taxes. Therefore, governments do not have sufficient revenues to improve the infrastructure these firms need to progress. We can reverse this cycle. As infrastructure improves, Africa can increasingly tap into its vast human, agricultural, mineral, hydrocarbon, and water resources, increasing employment and government revenues. This, in turn, will allow governments to finance more infrastructure. The scene is set. After some recent reversals, key economic indicators such as GDP growth, capital inflows, and trade are improving. Eighteen countries have achieved medium to high human development status, and the share of people living in poverty is falling (AfDB, AEO 2017). This makes the gaps in infrastructure not problems but opportunities. Growing middle classes and urbanisation are creating markets for determined, creative investors. This was proven in telecommunications, where Africa has become a showcase for mobile phone-based solutions to development challenges. To spread this success across the continent, we must leverage all available finance and improve the enabling environment for projects. Governments have a major role to play, but so do development finance institutions (DFIs), private investors, and developers. The latest estimates on infrastructure funding needs in Africa are US$130-170bn a year, with a gap of $68-108bn (AfDB, AEO 2018). Most countries have increased funding, and public funding, including from DFIs, will continue to play an important role. However, governments have recognised the need for outside investment, especially from the private sector. To attract this, they are competing in a global marketplace, so they must strive for state of the art investment climates. Africa has become a showcase for mobile phone-based solutions to development challenges. There have been numerous successful private investments in infrastructure in Africa in recent years, but the amounts have been small – only $3.4bn in 2016. With strong appetite from developers and financiers and growing demand, there is opportunity for significant increase. In the medium term, Africa should be able to reach the levels of private investment of other emerging regions such as Latin America, which received over $33bn in 2016. Institutional investors, both domestic and international, are also ready to seize the infrastructure opportunity. In a context of low returns on traditional asset classes, infrastructure is becoming more attractive, including in Africa where returns can be higher. The main obstacles to tapping additional financing are an inadequate enabling environment and a concomitant lack of investment-ready, bankable projects. To build up the pipeline of projects, all stakeholders must play a role. First, governments must consistently implement policies creating bankable sectors. In the power sector, for example, which represents almost 40% of infrastructure needs, there is significant potential for private investment in generation and, to a lesser extent, in transmission and distribution. However, investors need to be assured that they can recover their costs and earn a return commensurate with risks. Therefore, governments must align tariffs to costs, ensure the independence of regulators and the solvency of utilities, and allocate risks to those best able to bear them. Many countries have been doing this, but we need more consistent sector reforms across the entire continent, coupled with faster implementation of projects. Another urgent measure for scaling up private investment is improving governments’ capacity to organise infrastructure sectors and structure and negotiate PPPs, using outside advisors when necessary. However, investors must also do their part. They should take a long-term view and be proactive, deploying more early-stage risk capital and other resources to develop bankable opportunities. The game changer is when enough public and private sector stakeholders realise that the opportunity cost of delayed or failed project implementation is too high. They must understand that it is in everyone’s interest to bring projects to financial close and operations as quickly as possible. Investors get a fair return, citizens get services, and governments can highlight their positive enabling environment to attract additional investment. Infrastructure projects are, by their nature, long-term and thus fraught with uncertainty, which can scare off investors. Countries will attract the most competitive projects when they champion private sector participation by formulating viable, long-term infrastructure strategies and creating the enabling environment investors seek. An important role of governments early in the project cycle is the allocation of risks, generally through PPPs. The private sector is usually best placed to hold the financial, technical, construction, and operational risks, while governments should handle regulatory, foreign exchange, political, and certain force majeure risks. In countries where sectors are not yet bankable on a standalone basis, governments should also cover risks linked to commitments made by their entities involved in projects. Fair allocation of risks is in governments’ interest. When the private sector is expected to carry most risks it will price this into contracts or look elsewhere. 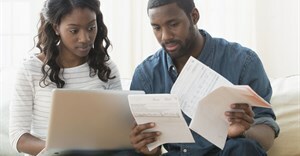 DFIs can also play an important role in mitigating risks, particularly government related risk. They do this de facto by simply investing in a project or de jure through partial risk guarantees and political risk insurance. In general, all parties in a project must seek a balanced risk allocation consistent with the development stage of the country and sector in which the project is being implemented. Improving Africa’s infrastructure is challenging, but it is also an important commercial opportunity which investors are increasingly realising. Most governments are committed to improving public services. It is the right thing to do, and their increasingly educated constituents demand it. With governments, DFIs, and investors working together, it can happen. *Alain Ebobissé is the CEO of Africa50. This article was originally published by Friends of Europe. How we made it in Africa, established in April 2010, is an award-winning online business publication aimed at African business people as well as foreign investors with an interest in the continent.